Mobile Phones Direct was founded in 1992 and has grown to a global reaching brand with a strong online presence. Mobile Phones Direct has direct relationships with all major networks, and close ties with leading manufacturers. Mobile Phones Direct is a specialist in the delivery of mobile phone contracts with or without free gifts, SIM free phones, SIM only deals, PAYG handsets and accessories. Free gifts with your mobile phone contract at Mobile Phones Direct! Don't miss free gifts with your mobile phone contract at Mobile Phones Direct. Verified two days ago. Valid until further notice. Mobile Phones Direct discount code not required. Mobile Phones Direct offer history Mar	2016 Apr	2016 Jul	2016 Oct	2016 Jan	2017 Apr	2017 Jul	2017 Oct	2017 Jan	2018 Apr	2018 Jul	2018 Oct	2018 Jan	2019 Apr	2019 Offer Sale at Mobile Phones Direct - Apple and Samsung phones at a discount! 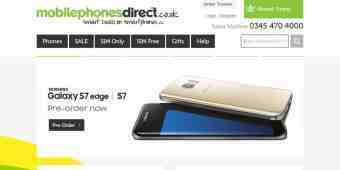 Free gifts with your mobile phone contract at Mobile Phones Direct!